The NBC News executive shakeup is official as former NBC News president Andrew Lack is returning as Chairman of NBC News and MSNBC, NBCUniversal CEO Steve Burke announced Friday. Lack, who was NBC News President from 1993-2001, will begin in April and report to Burke. His return spells the end of Pat Fili-Krushel’s tenure as Chairman, a role she assumed in 2012. Lack returns to his chief post at a tumultuous time for NBC News. The network’s figurehead, Brian Williams, fell from grace in February after it was revealed he exaggerated being on an Iraqi helicopter shot down by RPG fire in 2003. He wasn’t on the plane, which formed a media shark tank leaving NBC News no choice but to suspend the anchor for six months without pay. In 2014, NBC News was panned for its handling of former “Meet the Press” moderator David Gregory’s exit. Months of gossip about Gregory’s imminent ousting swirled around the show, highlighted by a leak that the network hired a psychologist to figure out why Gregory wasn’t connecting with audiences. NBC News disputed the claim, saying they hired a branding consultant. There are some bright spots Lack can build on. Gregory’s successor, Chuck Todd, has lifted “Meet the Press” back to competitive status just in time for the ratings sweet spot presidential campaigns bring. Todd won total viewers on Sunday, February 22nd; his March 1st broadcast marked the biggest total viewer audience in over a year for the program, since the Sochi Olympics. “Today” is also seeing some momentum, beating “GMA” in the coveted 25-54 demo on occasional days. I want to let you know about some changes we are making within the NBCUniversal News Group. 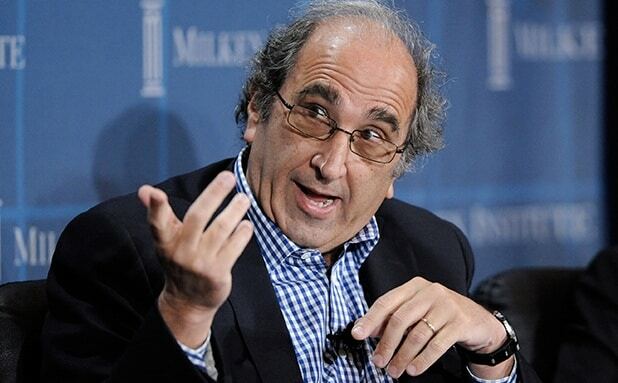 Andy Lack is returning to the company as Chairman, NBC News and MSNBC. Andy will join our Executive Committee and report directly to me. He will begin in April. Pat Fili-Krushel, who has been one of my most trusted advisors since she joined NBCUniversal four years ago, will move into a new corporate role on my executive team. Andy is an accomplished journalist who began his award-winning news career in 1976 at CBS and rose through the newsroom ranks until he joined NBC News as President in 1993. While at NBC, he presided over the News division’s unprecedented rise to number one, led by “Today,” “Nightly News,” “Dateline” and “Meet the Press.” In 2001 Andy was promoted to President and COO of NBC, where he was responsible for news, entertainment, TV stations, MSNBC and CNBC. Andy’s executive leadership also includes six years as CEO and Chairman of the Bloomberg Media Group, before leaving in September of 2014 to assume his most recent position as CEO of the Broadcasting Board of Governors. Prior to that, he was CEO and Chairman of Sony Music Entertainment. Andy’s experience and familiarity with our company and specifically the news division will be critical to our growth and future success. Deborah Turness, President of NBC News and Phil Griffin, President of MSNBC will both report to Andy. Mark Hoffman, President of CNBC, and Andy will work closely to ensure that where appropriate CNBC will leverage the strength of the News Group portfolio. Mark will continue on the Executive Committee and report to me. All of Pat’s other direct reports will report to Andy. When we created the News Group in 2011, I asked Pat to run it in order to maximize the combined strength of our portfolio as audiences fundamentally change the way they consume news. In that time Pat has helped position the organization for future growth by integrating television and digital, creating innovative partnerships, and modernizing the tools and technology we use to gather and deliver news. As she approaches three years in the role, I have asked Pat to return to my team and work directly with me again as she did before she took on her news responsibilities. I am grateful to Pat for her work and accomplishments at the NBCUniversal News Group and for helping to identify Andy as her successor. I look forward to having her back on the 51st floor. Please join me in welcoming Andy back to our company and in thanking Pat.